HealthyTOKYO has opened a cafe & shop where you can buy CBD oil in Tokyo Haneda Airport 365 days a year. CBD oil products have become incredibly popular around the world and Japan is no exception. The availability at Haneda, also known as Tokyo International Airport adds a new level of convenience and accessibility all-year-round to buy CBD oil in Tokyo. HealthyTOKYO was established years ago with the mission to provide “all you need to stay healthy in Japan”. Over that time, we have developed a strong online presence offering healthy foods, CBD oil, sundries and solid practical advice about how to stay healthy in Japan. On December 28, 2018 we opened our first all-vegan cafe & shop in Haneda Airport Terminal 2. Not all CBD oils are created equal. 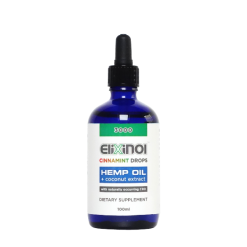 HealthyTOKYO carries CBD oils from Elixinol, one of the major trusted players in the CBD oil global arena. Our CBD product line is all-natural and made from organically grown hemp. The oil is extracted using only CO2 without the use of harmful solvents or alcohol. All of HealthyTOKYO’s CBD oils in Japan are specially formulated to be sold legally and meet the stringent requirements of the Japanese government. This is our flagship product, developed exclusively for HealthyTOKYO. Made with the highest quality CBD oil, natural Yuzu and other citrus essential oils. Yuzu, for those of you unfamiliar, is a Japanese citrus with a wonderful essence that is most pleasant to the pallet. This is a 2% concentration of CBD oil in a 20ml bottle, perfect for travel. This product with a base CBD oil concentration of 1% comes in three flavors. Try the natural if you just want the taste of hemp. Cinnamint for a minty flavor or Chamomile Lemon. If you want to try a drink using this CBD Oil in Tokyo Haneda Airport, check out HealthyTOKYO Cafe & Shops CBD drink menu before your next flight. 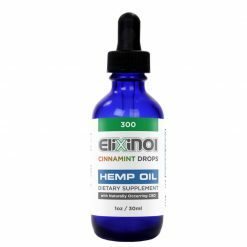 This is a bigger bottle of the 1% concentration and offers a better value per mg of CBD oil than the 30ml bottle. Comes in Natural and Cinnamint. This is a large bottle (100ml) of a 3% CBD oil concentration. Same great taste as the 300 and 1000, with three times the CBD concentration. This is a 4% concentration with a strong earthy taste, reminiscent of herbal medicines or tea. 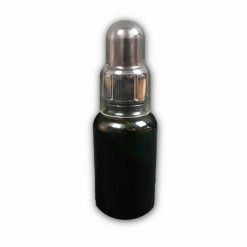 It does not contain any MCT oil or essential oils and is a thick black oil. 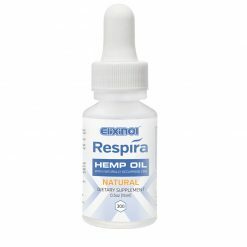 Respira is a CBD oil specially formulated for vaping (contains natural vegetable glycerin). Comes in natural flavor. CBD Rescue Roll-on with jojoba essential oil, peppermint essential oil and cannabidiol giving a refreshing feeling when applied to the skin. For external use in a convenient roll-on. It smells wonderful. You can purchase CBD Oil in Tokyo Haneda Airport exclusively in HealthyTOKYO’s Haneda Airport location at the same price as online. Our 100% Vegan cafe & shop is located in the ANA Terminal 2 on the 3rd Floor in the Upper Deck Tokyo Area. We are on the land side so you do not require a ticket to enter for a delicious drink, meal or shopping. To order online, please visit our online shop. We ship to any address in Japan. For those of you wanting to purchase online, We will deliver to any address in Japan, including hotels and AirBNB. Orders placed online before 12:00 pm on a weekdays will be shipped the same day. Orders received on weekends will be processed on Mondays. The CBD oil products will generally arrive the day after shipping in most locations, but can take up to two days for those places far away from Tokyo. If you have any questions, please call, chat or send a message to info@healthytokyo.com.